If you follow me regularly you know that I travel the world as my job. I have several streams of income that allow me to do so but, recently, I added a new one. Keep reading to understand Why I Added Independent Travel Agent to my Income Stream. Travel has always been in my DNA. Other than my children, it’s my why. Why I love being alive. Nothing gets me more excited than planning and deciding where in the world I’ll go next. Deciding to live life as a digital nomad takes courage but also means that you have to remain open to various ways of making the money you need to travel. For me, it makes sense to stay within the travel niche. I love organizing my travels, searching for the best deals, and finding ways to save money. So when one of my like-minded friends asked me why I wasn’t booking travel and earning commission from it, I took pause…Why wasn’t I? 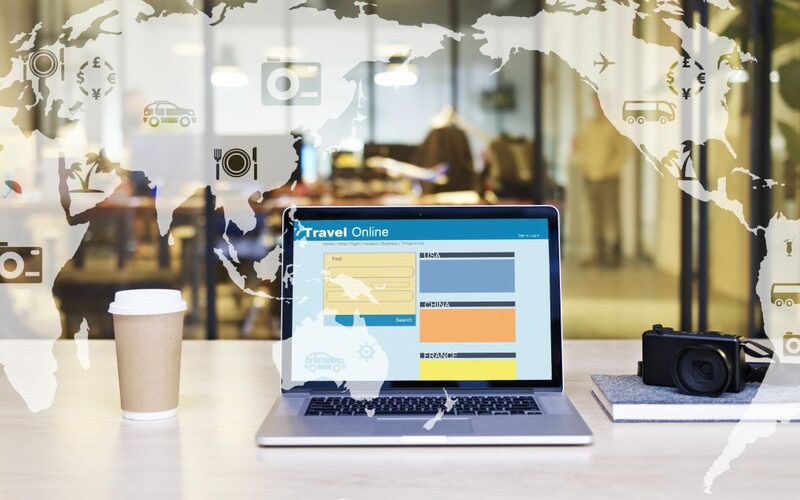 Being the control freak and researcher that I am, I needed to do a deep dive into the statistics and success rates of becoming an independent travel agent and rep.
During my research, I found that Inteletravel presented the best of both worlds. It offered a fantastic opportunity to, not just become a travel agent but also a rep. The company offers support and resources to book travel as an agent AND build my own team and earn residual income. This was such a natural addition to my business I seriously thought of kicking myself for not looking into it sooner! Becoming a travel agent is considered a hot job these days, especially as a career change. With the mass amount of social media sharing that goes on 24/7, what’s more fun than showing off to your followers the pictures from five-star resorts in exotic destinations that you booked yourself? Nurses, accountants, mortgage brokers, lawyers, real estate agents, journalists, stay at home parents and even hotel and airline executives are becoming travel agents. As a rep with a great company, it’s a perfect way to make residual income! 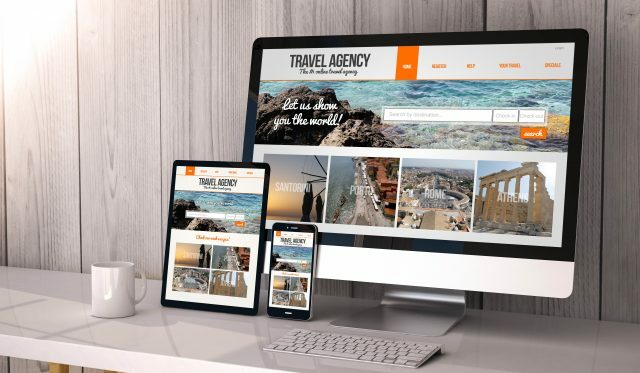 After scouring the internet and talking to others who chose to work with the company to build their own travel agent businesses, I was hooked. I also fell in love with the company’s integrity. InteleTravel gives you the opportunity to benefit from your love of travel. When you become an independent travel agent you WILL make a profit – they guarantee it! InteleTravel is recognized by every major travel supplier, including every resort and hotel brand, cruise line, vacation company, car rental agency, and tour operator in the world. This makes it a no-brainer in terms of resources for travel agents. Another great aspect of the company is that agents earn on their own terms and report only to themselves. Whether I book travel once a year or once a day, being an agent pays for itself. I can use the money I earn to supplement my income and pay for my freedom lifestyle. Let’s face it, the Internet has made it super easy to do anything including book travel with a click of a button. So easy, in fact, that most people think that travel agents have become unnecessary. When you go online and think you’re comparing prices of hotels, airlines, and vacation packages among several top travel sites, you’re in fact just comparing companies that are owned by each other! The deals you think you’re getting are put together by false comparisons and non-competition. Another reason why I added Independent Travel Agent to my income stream is, because as an InteleTravel agent, I have real access to guaranteed best rates at the best hotels, resorts, and airlines and I can offer them to my clients, family, and for my own travels. I love that the company is a uniquely trusted and valuable resource in the travel industry. They genuinely love turning travel lovers into independent travel agents AND, most importantly, I don’t have to be a salesperson to be successful. There are so many benefits to being an independent travel agent with InteleTravel. It’s a fantastic way to earn extra income, but it’s so much more than that. Their free, online education helps you learn new skills. Being an independent travel agent is an incredible way to discover new places for you to travel and connect with other travel lovers. The benefits of being an independent travel agent are endless no matter how much travel you sell. To read about how InteleTravel works click here. I loved the idea of starting a business that had no inventory or invoicing. If I had opened my own brick and mortar travel agency I would have needed inventory, licenses and capital not to mention insurance. The costs would have been more than I wanted to invest! I would have also been limited in my travels, which is definitely not something I ever want to do. With InteleTravel I received an opportunity to have this Better Business Bureau 5 Star Rated company work for ME. Plus, InteleTravel is always available to answer any questions I have, and in the beginning, I had a lot! It was a great way for me to get more involved in the travel industry and make a few extra dollars a month. AND it’s all guaranteed! I particularly love the fact that InteleTravel offers educational tools and weekly webinars, conference calls and destination events that allow you to learn how to be the best agent, which will ultimately increase your income. 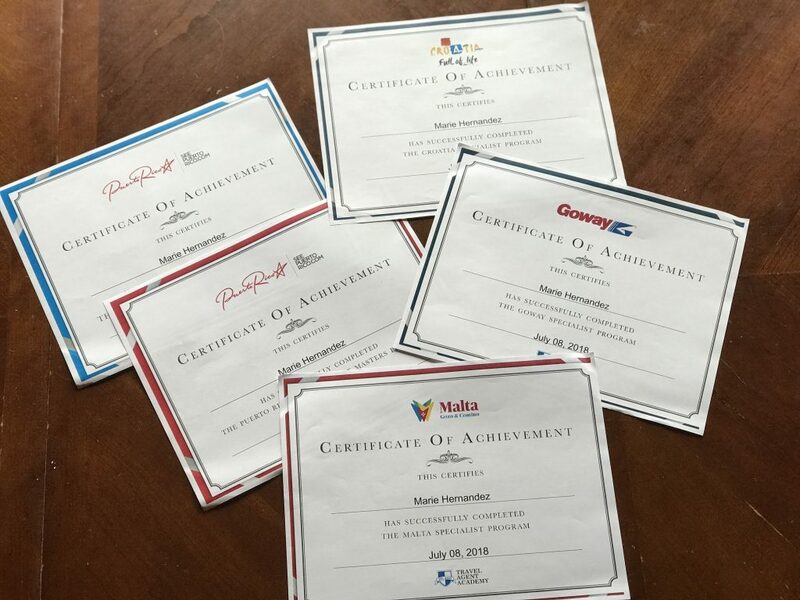 I’ve received 5 destination certifications and am working on more all free in my agent back office when I joined. None of these tools is a requirement but why wouldn’t I utilize them to learn more and earn more? I was able to get started right away with InteleTravel…I mean within days of signing up I put the word out to my family and friends and started booking travel. I received my first commission for travel 4 days after I clicked the signup button! I chose to be a rep as well. The PlanNet Marketing Rep who sells the InteleTravel home-based Independent Travel Agency (“ITA”) business and earns a direct sales commission. The PlanNet Marketing Rep who, in addition to selling the ITA business opportunity, also chooses to build a PlanNet Rep organization and earn override commissions on Reps in their organization who do the same. “PlanNet Marketing provides people with the freedom, flexibility and opportunity to build financial independence now and for the future. The home-based business owner can design their business to work with their own or their family’s needs and lifestyle, not the other way around! You are in control – you are your own boss. You achieve your goals at your own pace and reap the benefits and rewards of being a part of the $8 trillion worldwide travel industry. You are backed by PlanNet Marketing’s exceptional experience, support, and training. I can go on and on about this additional stream of income but alas, not everyone has hours to read my blog posts! I’ll leave you with this…nothing in the world is effortless. Anyone can find success with anything; it’s just how badly you want to succeed. Technically, every business in the world is an MLM. The owner needs others to increase income. How we do that is by network marketing to get the word out about what we do, sell, and how to earn. PlanNet is a network marketing opportunity business. With MLM, you could make $1000.00 a month and I may only make $50.00 even though I signed you up. Everyone’s income is dependent on their own production in their business, unlike a pyramid. It is NOT A pyramid. In a pyramid scheme, the employee is at the bottom and can never make more than the owner or person who signed them up to the program. Network marketing is the best way for entrepreneurs to have a business. It’s like buying a home franchisee without paying $100k for a franchise itself. Think McDonald’s – you’re offering the opportunity for others to offer hamburgers without having to own an actual McDonalds restaurant. As a PlanNet rep, you offer travel and offer the opportunity for others to offer travel. I want to travel for as long as physically possible. Because of that, I am constantly on the lookout for additional income streams. After purchasing a network marketing company, Buffett called it the best investment he’d ever made! For me, I have several sources. They all align with what I love, travel, and they all bring me great returns on my investments. If you’re thinking about an additional income stream, leaving your soul-sucking 9-5, starting a lucrative business of your own, or, like me, you want to travel longer, farther, and make money on those travels – consider becoming an Independent Travel Agent with InteleTravel. I wish you so much success with this new direction. It sounds like a promising company to work with. Does it make it easier or harder to be a travel writer, I wonder?